Westpoint York is a modern, dedicated livestock veterinary practice providing a comprehensive range of health-orientated services to farms in and around the York area. Outside office hours, the on-call vet will receive all emergency phone calls to provide 24hr emergency care. For medication pick ups and other visits, outside office opening hours, please contact the out of hours vet. 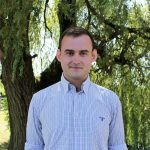 Ricardo qualified from Porto University, Portugal in 2009. 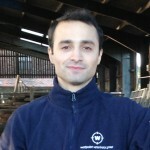 He went on to work in Northern Portugal in farm animal practice for 6 years before relocating to Yorkshire in December 2015. He has a keen interest in bovine udder health and surgery. In his spare time he likes to spend time with his wife, family and friends. He enjoys sports, as well as reading books. Ashley qualified from the Royal Veterinary College in 2013 and went straight in to farm practice in Oxfordshire. She relocated to Yorkshire in January 2015. 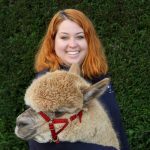 She has a keen interest in both cattle and sheep production, as well as camelid medicine. 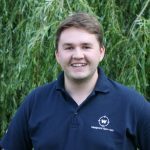 Harry qualified from the Royal Veterinary College in 2016 before joining Westpoint on the internship programme at York. His main interests are in youngstock, nutrition and beef reproduction. In his spare time, Harry enjoys playing rugby and squash, doing DIY and relaxing with friends and family. Having grown up in Huddersfield, he is excited to start exploring a new area of Yorkshire. Luke graduated from the Royal Veterinary College in London in 2018. He enjoys all aspects of farm medicine but his particular interest is suckler production and management. Luke grew up in Herefordshire, the county of beef cattle and apples, so he's partial to a good steak and pint of cider but is very much looking forward to moving to Yorkshire and exploring the beautiful countryside with his dogs. Outside of the office he enjoys shooting, fishing and helping on friends farms.